On November 7, 2018 the staff at Canterbury Villa ushered in a new "chapter" to its long history. 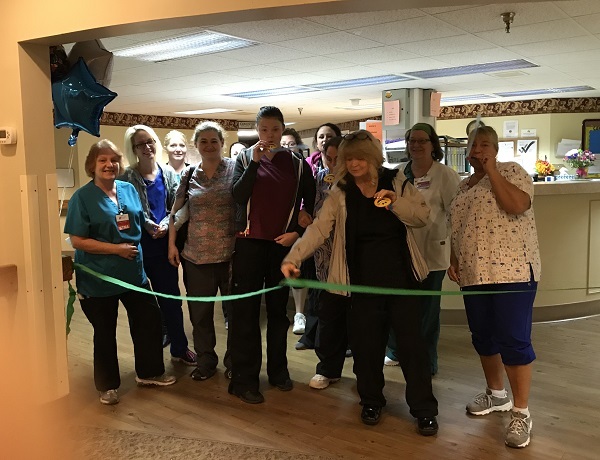 Canterbury Villa went "live" with electronic charting for the nursing assistants! We had a 'Going Live Party' complete with a countdown and ribbon cutting ceremony. We cannot say enough how proud we are of our nursing assistants for taking this next journey and working together to enhance our documentation. We are, Canterbury Strong!